Almost everyone occasionally forgets where they put their car keys, or loses track of an appointment. 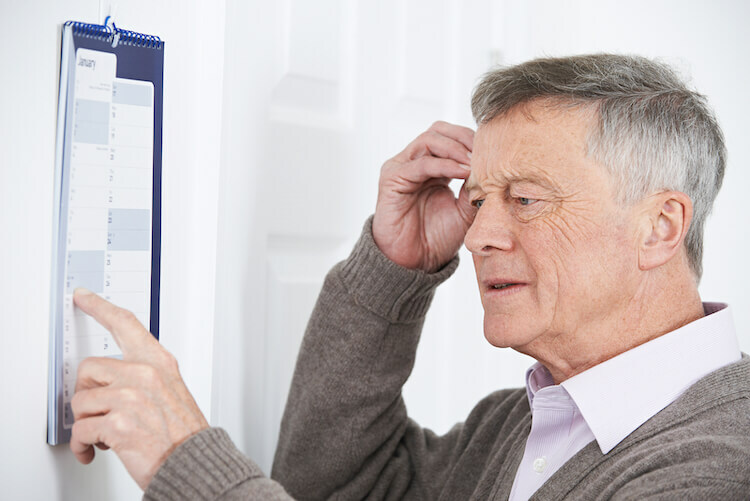 Many people over the age of 65 experience some form of age-related memory loss, which is a normal part of the aging process. It’s also natural to worry that any memory loss is a more serious condition such as Alzheimer’s or dementia. Luckily there are many signs to help identify the early stages of a brain disease. Not being able to recall details of a conversation or event that happened a year ago. Not being able to remember the name of an acquaintance. Forgetting things and events occasionally. Sometimes having difficulty finding the right word. If memory loss is beginning to disrupt your loved one’s life, it could be a sign of a bigger problem and a symptom of Alzheimer’s or dementia. These brain diseases cause a slow decline in memory, thinking and reasoning skills. If you see any of these early warning signs of Alzheimer’s, don’t ignore them and contact a doctor right away. Confusion with time and place. Problems with words in speaking or writing. If you believe your loved one’s memory problems are more than just age-related forgetfulness, look to the caring staff at Peabody’s Memory Enhancement Center. The homelike design offers the most specialized, attentive and respectful care for your senior with a memory disorder. Contact us to set up a tour of this memory care community and learn more about its life-enhancing services and amenities. Do Memory Problems Always Mean Alzheimer’s Disease?.nia.nih.gov. (Accessed Jan 22 2019).